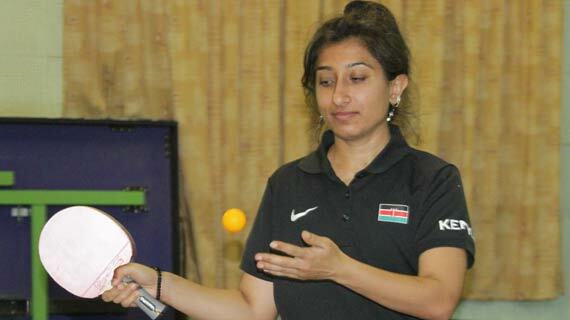 The final Kenyan Table Tennis team for the Commonwealth Games will be selected this weekend during the final leg of the trials to be held at the Nairobi Institute in Pangani. A total of twenty eight players both men and women will be competing to fill in the missing slots of three men and three women who will represent the Country during this year's games to be held in Glasgow. Kenya Table Tennis Association has included five junior players who did duty for the Country in Zanzibar during the Mapinduzi Cup and the just concluded Africa Youth Games held in Botswana. Leading the pack of Junior players is Makini's school Peter Theuri and Breaside School's Mihir Malde who are highly tipped to perform well in the national trials that will start at8AM. During the national trials, the players will play in a league basis whereby each player will play each other to come up with the final team.